Geograph Britain and Ireland – photograph every grid square! 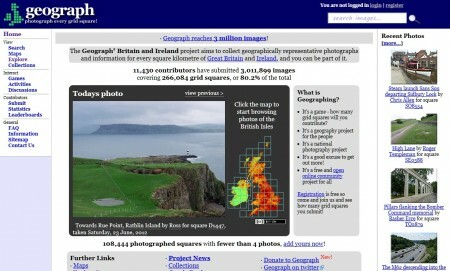 Geograph Britain and Ireland – photograph every grid square!. Handy site for reconnoitring photo locations especially when combined with Google street-view on how to get there. Very simple Tutorial on fixing exposure problems in Photoshop. 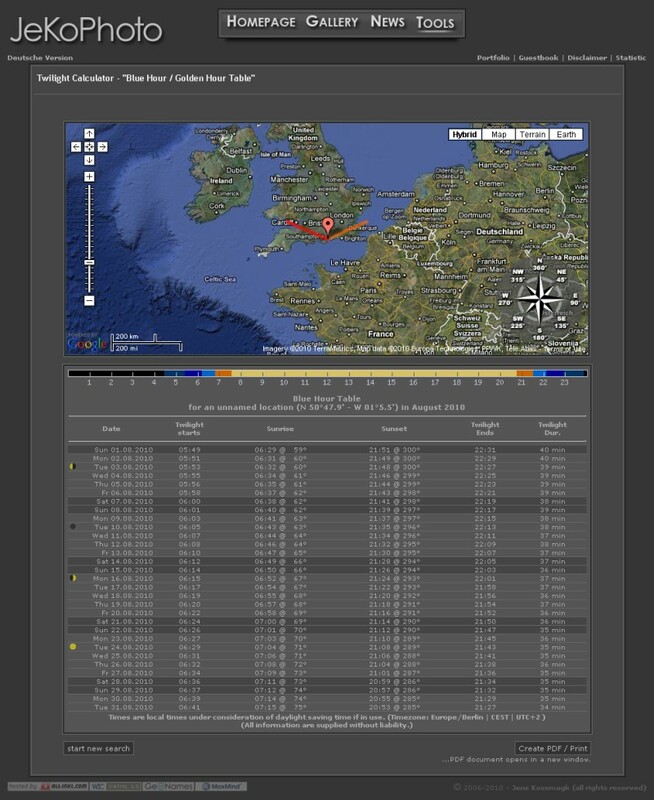 Find of the day is this fantastic site for photographers for working out when the “Golden Hours” and “Blue Hours” are for a given location. The Golden Hour being that period of first or last light of the day when you get long shadows and diffuse light. The Blue Hour being that time before or after sunset/sunrise respectively which is neither fully dark nor with any sunlight.